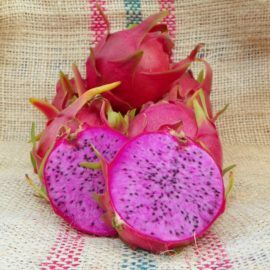 Yellow Dragon is a Dragon Fruit or Pitaya variety known from the genus Selenicereus. 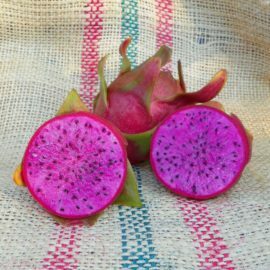 It differs from the Hylocereus in color, harvesting time, and this fruit has thorns that occur on the fruit itself. 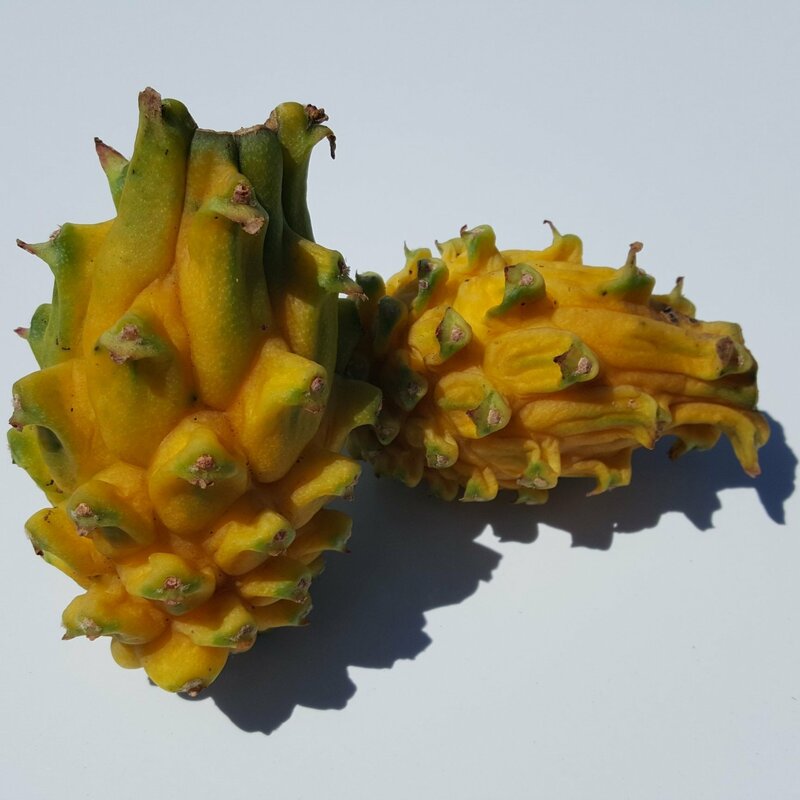 The fruit is small to medium usually weighing .5 to .75 pounds. The plant has green three sided growth with medium sized spines along the rib. 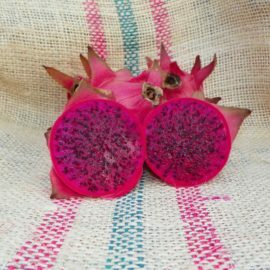 The fruit ripens from late November to February and it is certainly among the sweetest and tastiest of all the dragon fruit. 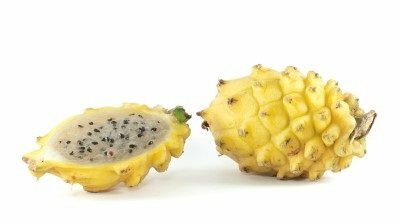 This variety is known to be self-pollinating and will set fruit on its own. Recent DNA has shown that the Colombiana and the Yellow Dragon to be identical. This variety was acquired from a grower in California. 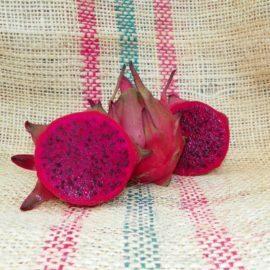 This variety is among the best tasting of all fruit, hands down!